Working together to create innovative solutions and bring them to patients and doctors. We believe that partnership is a important part of project success. SDS Optic recognize and value that collaboratively work can help us to improve our vision. Our team consists of renown experts in biology, medicine, advanced technologies, chemistry and related sciences. At SDSOPTIC we strive to make difference in the world. We are connecting vast medical knowledge with technical skills to create medical devices that can revolutionise healthcare in the world. 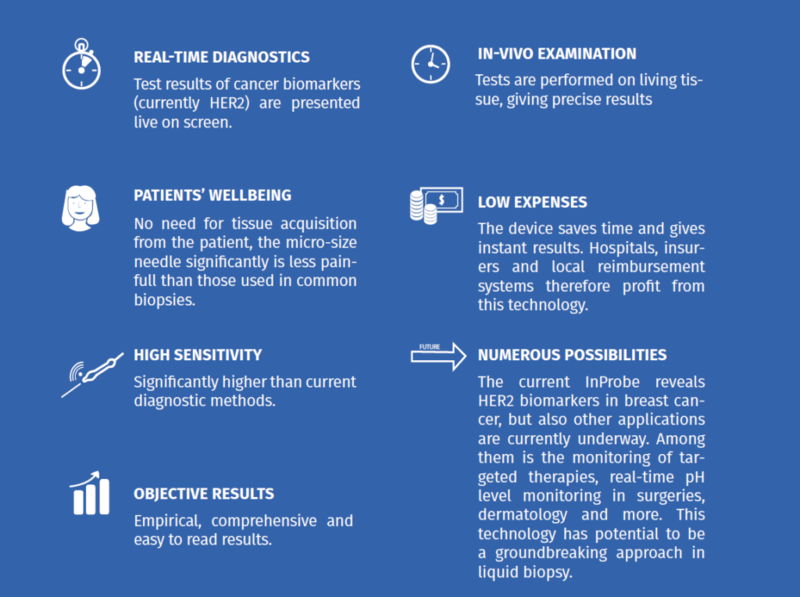 SDS Optic invented and developed inPROBE - cancer diagnosis device designed to reduce time of medical diagnosis, increase precision and effects of advanced cancer treatments and most importantly – help medical professionals to save lives of millions of patients worldwide. SDS OPTIC specializes in modeling and designing high-quality package components, such as ferrules, housings, and other devices with flat and conical surface areas. We employ highly accurate assembling procedures that allow us to compose hermetic patch cords, pigtails, connectors and windows. Research and development is the lifeblood of the biopharma industry and the ultimate source of the economic value it creates. R&D allows companies to generate new products that will eventually lead to growth and save lives. This section includes information and files that are useful if you're planning on making articles, video materials etc. concerning our company. We encourage you to go through the press releases published by SDS Optic on our webpage. Learn more about SDS Optic progress, and explore our recent announcements and resources. 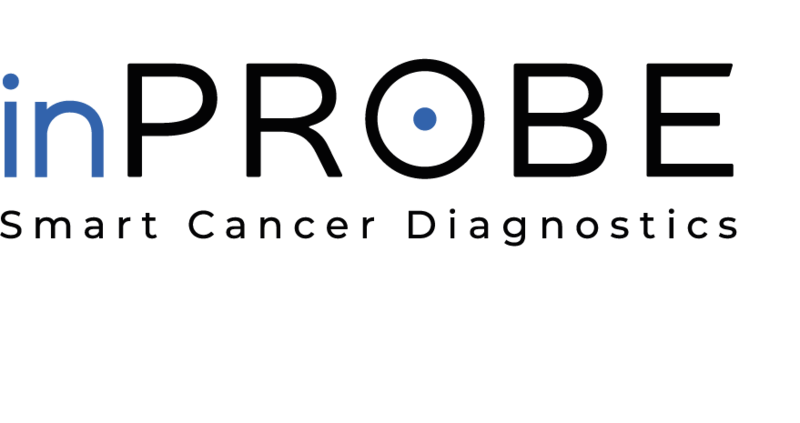 inPROBE, invented and developed by SDS Optic, is cancer diagnosis device designed to reduce time of medical diagnosis, increase precision and effects of advanced cancer treatments and most importantly – help medical professionals to save lives of milions of patients worldwide. 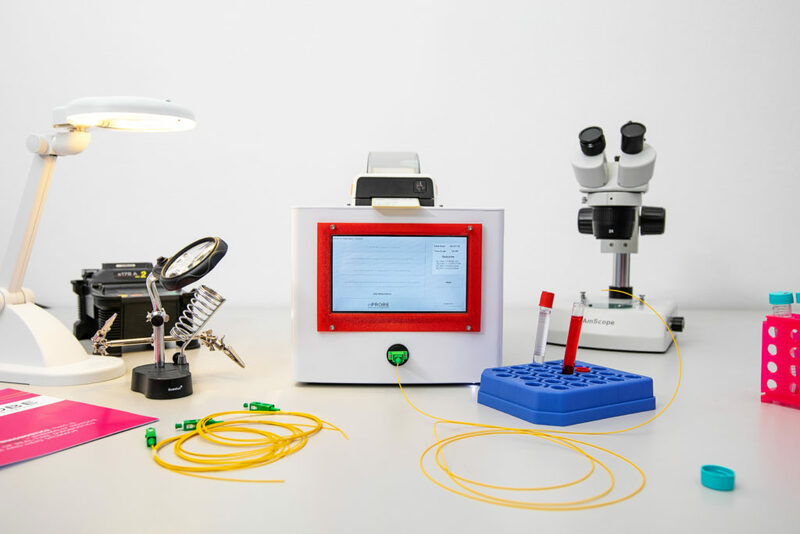 It can be used both in cancer diagnostics and ther- apies monitoring in real-time and natural state (in vivo), thus giving the medical professionals tools and methods previously unavailable. Results are objective, numerical and easy to read. No need for the tissue acquisition from the patient’s body and micro-size of the needle are significantly less painful than biopsy. 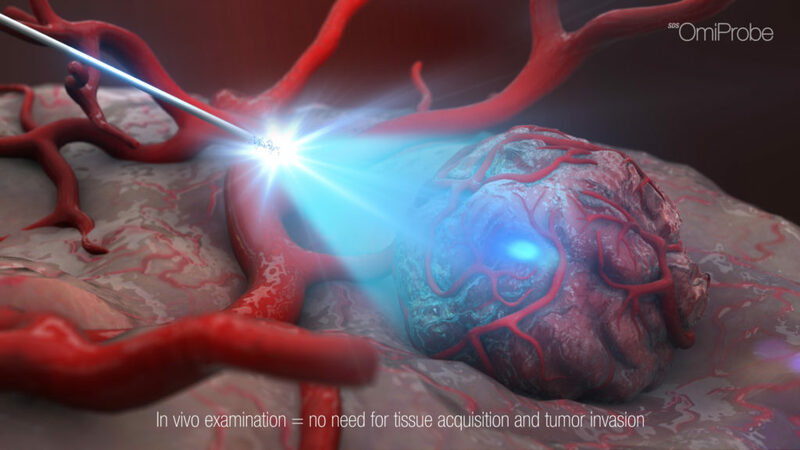 inPROBE is a nano-size glass probe getting in vivo within very thin biopsy needle, connected with detecting device and with innovative components at the tip of the probe. 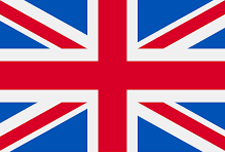 Thanks to its thicknes it is safer, much less stressful and much less painful. Fast and precise cancer diagnosis combined with modern therapies can help to SAVE UP TO 30% of people diagnosed with cancer by year 2030. Thanks to high sensitivity inProbe can examine even single cells. It also allows to get close to the tumor without the need to get into the tumor as today, which can lead to malignant cancer. 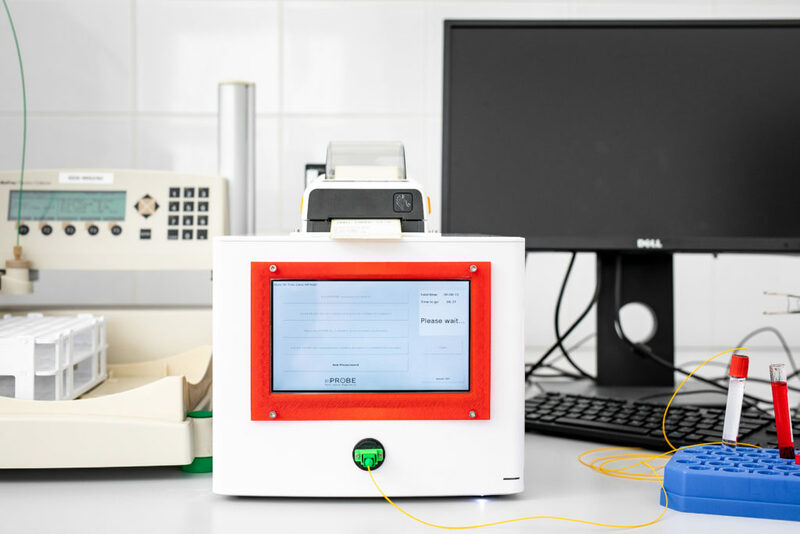 All the data gathered during procedure is transferred via fiber optics into the multi- purpose detecting device. Then the data is calculated using specific algorithms and presented to the oncologist as a diagnostic result – a numerical measure with exact level of tested components (e.g. HER2 cancer biomarker). During the cancer therapies inProbe will be able to measure active ingredient level (f.e. Trastuzumab) in cancer tumor cells, thus supporting & improving the efficiency of modern targeted cancer therapies and petients’ well-being. 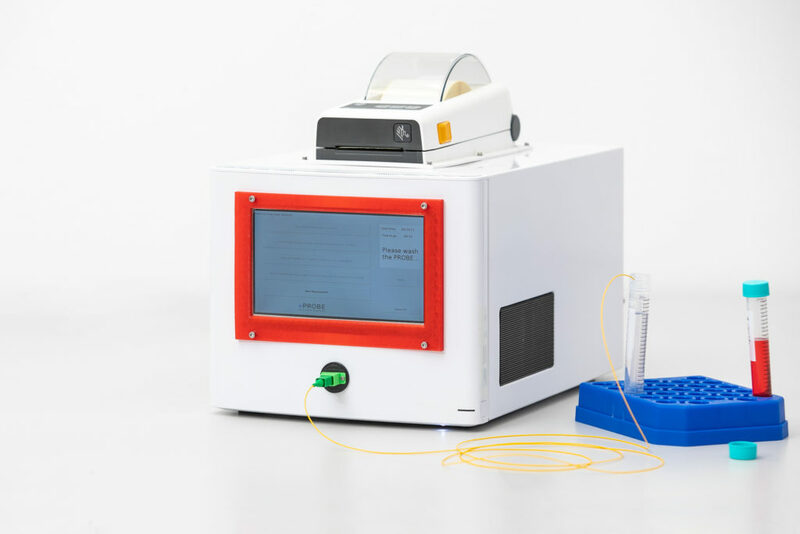 SDS-MicroProbe can be a groundbreaking solution to overcome problems in current technology and enable analysis of biological processes inside the single cell in their natural state. As an expert in hematology, I am convinced that such solution would find several applications in research as well as in future cell therapies in the cancer area. There is an unmet need to study biological processes within individual cells residing in their native niche. The SDS-MicroProbe addresses this shortcoming; it is a new approach in analyzing key intracellular parameters that indicate the functionality of a cell. The SDS-MicroProbe has the potential to substantially advance our ability to assess the status of living cells and thereby improve our ability to diagnose various diseases and evaluate the efficiency of interventions.